A Bouquet of Mixed Coloured mums, 40 stems. These flowers signify life, rebirth and long lasting friendship. 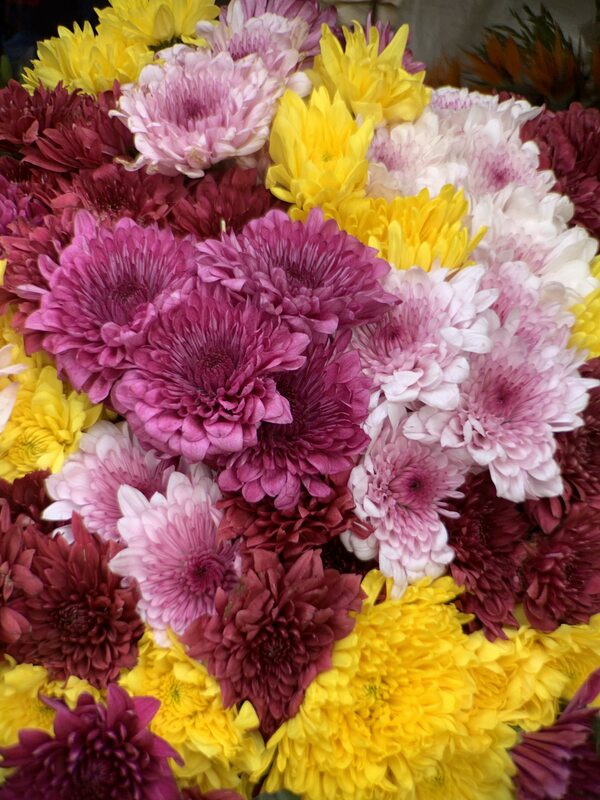 The chrysanthemums are available in Burgundy, Orange, Lovely Pink, Cheryl Pink, Yellow, Green and White. Select either of the four above to create a life giving bouquet.